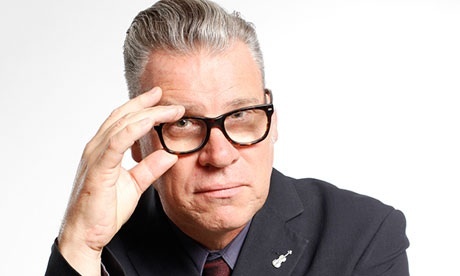 I love Mark Kermode – and also Frank Kermode (here and here)! I wonder if they are related? Frank Kermode’s literary criticism is relevant to modern day approaches to fiction reviews, too, I feel. Both the Hothouse and the non-Hothouse. Edit: Review Comment Stream below. Most of this seems reasonable: http://theakersquarterly.blogspot.co.uk/2013/11/avoiding-author-meltdowns-twelve-tips.html – except no. 9, if a reviewer gains a reputation of only buying good books to review to encourage reading. And not every author’s complaint about a review is a ‘meltdown’. This thread you are now reading was originally entitled ‘Mark Kermode / Frank Kermode’, and changed to ‘Reviewing Issues’ today. Yesterday, I salted away a more specific post containing a statement upon the long-term issue between myself and Theaker’s, an issue connected to this reviewing subject. As far as I can tell, there have been no further public attacks on me by them for the last month or so, although there remain in public their unjustified personal comments about me from a few years ago, comments which I shall continue to request should be deleted. And many of my book-specific real-time reviews since 2008 extrapolate and debate, from many angles, the subject of fiction reviewing, as well as the nature of literature, philosophical aesthetics and the physical book etc. My previous reviews of TQF publications: Real-Time Review of TQF #37 & Real-Time Review of TQF #39 & Real-Time Review of TQF #40 & Real-Time Review of TQF #41 & Theaker’s Quarterly Fiction #43 & Theaker’s Quarterly Fiction #44 & THE MERCURY ANNUAL / PILGRIMS AT THE WHITE HORIZON by Michael Wyndham Thomas & Theaker’s Quarterly Fiction #45. Strictly as a reviewing issue, I presume that Mr Theaker was also starting a (perhaps necessary) critical debate upon my gestalt (connective) real-time reviewing and lifelong ‘intentional fallacy’ techniques / beliefs when he made this comment yesterday at 4.11 pm. The tentative start of my GRTR of ‘Finnegans Wake’, an extreme case with which many may find issue regarding the techniques needed to review it and the book itself? Here: Dreamcaptchas: I Only Review Books I Am Likely To Enjoy. A statement that confirms what has always been the case with my Gestalt Real-Time Reviews since 2008. Last night I wrote this about RH’s ‘The Rook and the Jackdaw’ in my real-tale review of his Rhysop’s Fables. Serendipitously, I read the next flash fiction this morning, the one entitled The Moon and the Well. Exquisite and definitely my favourite so far. As an aside, I find the second sentence of his first paragraph thought-provoking with regard to the nature of book reviewing and literary criticism. Generally speaking, I think one can indeed adapt one’s review or critique or analysis to suit the publication where it is appearing, but no doubt keeping in mind that the book being reviewed is set in stone and thus one’s views about it would also naturally be set in stone, even if expressed differently from publication venue to publication venue. But then I think about one’s own changing taste from time to time? Yes, thought-provoking indeed. Yesterday, I had an email from someone asking my permission to attribute the real-time reviewing method to me as he proposed to use the same method (in a different field from fiction). I feel it would be an honour to be thus attributed but there would be no need to attribute it to me. But then I gave up looking! 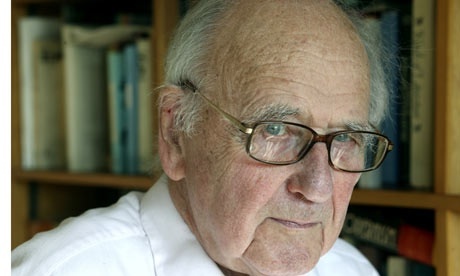 As an additional, separate, inevitably theoretical point, I’d say any problems regarding Negativity, Gender, Political Correctness, Personality, Nepotism, Personal Grievances, Self-Promotion etc would be potentially eased if all writers as a matter of course had their work published initially in the old Nemonymous way, with late-labelling of their by-lines following the reviews and any awards etc. This ‘Reviewing Issues’ thread now becomes ‘*’ and linked from here: https://dflewisreviews.wordpress.com/i-only-buy-books-i-know-i-will-like/ and will remain as my record of any potentially disputatious matters connected with any reviews or the reviewing philosophy. Regarding the Weirdtongue Palaver, I today made one of my infrequent checks on the ‘comments’ mentioned in the post above of 5/12/13 11.32 a.m. (comments that are often referred to by me as the “66 comments”) and I note they are still extant. Christopher Priest’s review of a novel entitled BARRICADE reminds me that I am only concerned with the hothouse and as this novel is published by Gollancz I say let them fight it out beyond our hothouse barricades – big author against big publisher. Having said that, though, if I had been the reviewer, I would not have wanted to write a public review of it. My usually dependable instinct would have indeed been not to read it at all. I agree, though, that the Priest review is not cruel or nasty, not even mocking or tendentious (arguably). It is a highly negative review, however, one I personally would not have chosen to make public or would have aborted any reading of the book once I knew that I was not enjoying it. Luckily or skilfully, the books I choose to review are 99% as I expect them to be, give or take their in-built surprises! My views on any potentially controversial aspects of book reviewing will now continue in the comment stream HERE as and when I have anything to say.